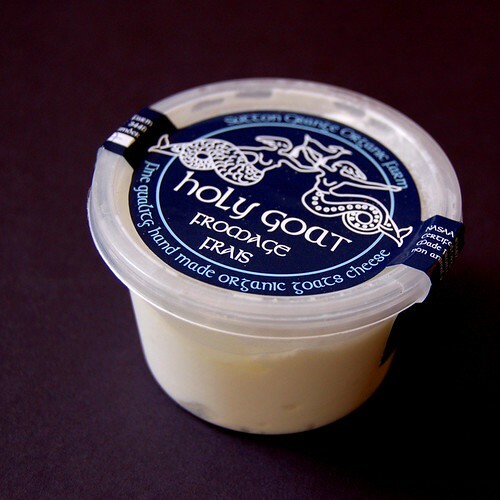 Time to return to Holy Goat and visit another cheese from their range - this time a Fromage Frais. 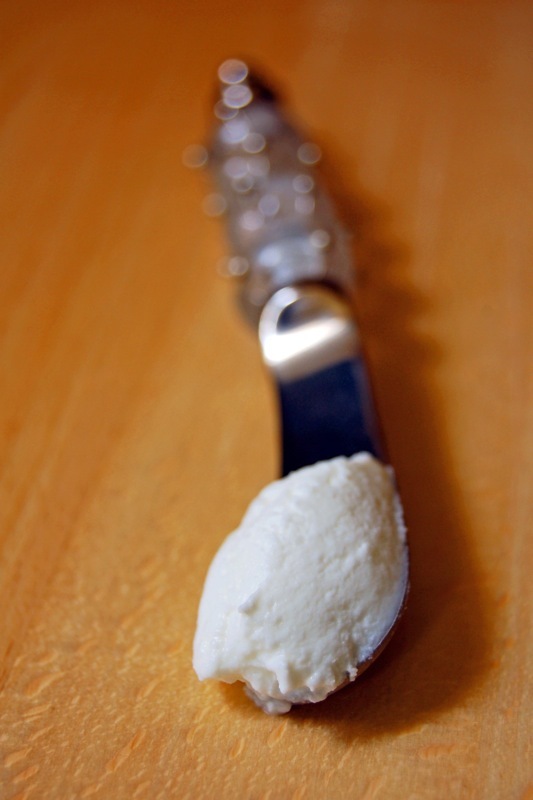 Fromage Frais means "fresh cheese" and in this case it refers to a soft goats milk curd. 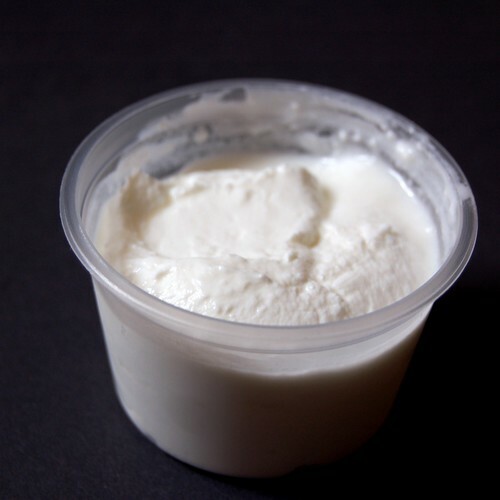 It's made in a similar manner to cheese but once the rennet is added the curds are not allowed to set, instead they are agitated to give a texture and appearance somewhat like yoghurt. The first thing you'll notice, as is the case with goat cheese, is that it's very white. It has a look of being quite pure and clean. Tastewise, it has a slight tang with those goat characteristics but it would equally at home in a savoury or sweet situation. This cheese is also low in saturated fats. It has good holding characteristics and is just perfect for slathering on bread - try it on a thick slice of toasted brioche with raspberry jam. Other ideas: as part of the filling for Stuffed Zucchini Flowers; use it in dips; add to cheesecake filling; toss through cooked pasta to form part of the sauce. I'm sure you can come up many more ideas.